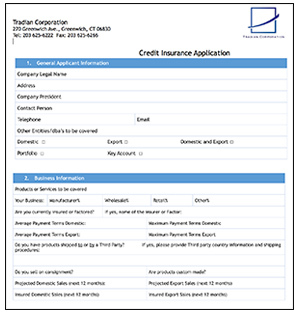 At Tradian, we focus on our clients specific needs and become your advocate in front of the entire credit insurance market. We are in a unique position to understand the decision making process – whether the decision relates to claims, coverage, or conditions. Whatever the reason for your interest in credit insurance, you should know that an expert, independent, credit insurance broker is the best way for you to get the most out of your policy. Read more about how Tradian Corporation can benefit your business.